Leave the house without foundation -- maybe; leave the house without mascara -- scary. Women do seemingly crazy things to make their eyes look brighter, more vibrant and awake every single day, from painting on carbon blackened petroleum jelly (aka mascara) to gluing false hairs into our eyelash beds to make our lashes look fuller and longer. But mascara and false lashes create a ton of irritation to the eye and delicate eyelid skin, causing burning, redness, itching, and even blurry vision! To avoid these issues, serums that grow and thicken your own eyelashes have become increasingly popular. But the most effective eyelash growth serums on the market these days come with some serious potential side effects. Latisse and it's chemical component, prostaglandin analogues, have been shown to cause red, irritated eyelids, permanent darkening of the lid margin and the iris, and even a sunken eye appearance. Wouldn't it be great to have thicker, full lashes without the side effects? Enter the Zoria Boost Lash Intensifying Serum, a nonprescription, nontoxic formula that uses natural hair follicle growth polypeptides to stimulate eyelash growth and reduce the frequency of lash fall-out. Zoria's formula uses a patented polypeptide combination that acts on multiple stages of the eyelash "life cycle." In the early stages of new lash growth, Zoria works to supplement and support the hair follicle to make a stronger and healthier "root" that has the best chance to support a thicker and longer eyelash. Once the lash has grown to it's full potential, Zoria polypeptides continue to repair and hold the lash at it's maximum length stage, trying to prolong the lifespan of the eyelash before it eventually falls out. 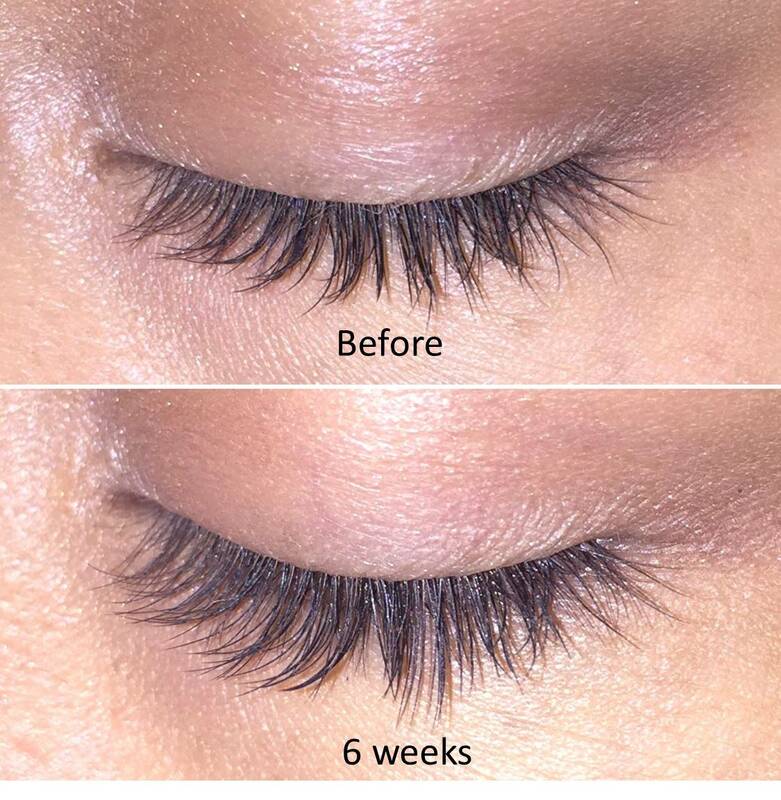 Most lashes have a lifespan of 6-8 weeks, but Zoria's formula could extend this as long as 36 weeks according to their research (see above). If lashes are healthier at their roots, and stick around significantly longer, the results are noticeably thicker and longer lashes. Because of how Zoria works, the appearance of longer and fuller eyelashes would be expected to be visible as early as 3-4 weeks in, but may take as long as 36 weeks to get full results. Dr. S took the Zoria Boost challenge, using the product every night before bed for 6 weeks. Photos are without eye makeup or mascara! Every night I washed my face adn removed all eye makeup before applying Zoria each night to my upper lids. The applicator is very small and skinny and I wasn't sure at first if I got enough on my lids (per OCuSOFT one 6 mL bottle should last up to 3 months so a little does go a long way). There were no side effects whatsoever! No stinging, irritation, or burning. I didn't notice any clumping or crusting of my lashes the next morning after applying at night. My lashes felt a little longer after about 3-4 weeks of using Zoria, but honestly, it was hard to tell at first. I felt like my lashes appeared longer than normal when I wore mascara, but as far as without mascara, I really didn't notice a drastic improvement until I saw the before and after pictures side by side. Because Zoria works to reduce lash fall-out, maximum results would be apparent up to 9 months after staring to use the product. Continued use is key to getting maximum results. Check out a comparison of before (top) and after 6 weeks of Zoria Boost Lash Intensifying Serum (below); the lashes do look longer, thicker, and fuller! I think Latisse probably has a bigger effect from the start, but I feel like Zoria is a more natural alternative to help with lash appearance. I loved that there were no side effects and no redness on my lid margins! I would definitely mention this to my patients as something that may work for them; I would just encourage them to give it a good few months to see results before giving up! 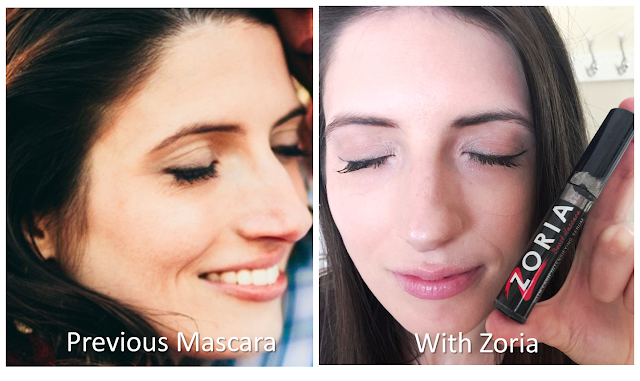 For best results, OCuSOFT recommends using the Zoria Boost Lash Intensifying Serum at night and the Zoria Boost Mascara during the day, so if I had shared the mascara with Dr. S she would have likely seen results even faster. Unfortunately, once I tried the mascara I was seriously hooked. 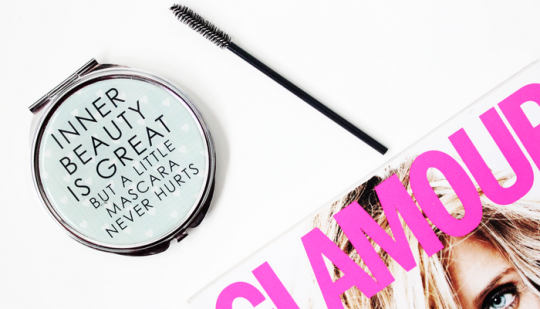 The Zoria Boost Mascara is very easy to apply, with minimal eyelid irritation, and (a bonus!) it's very clump resistant. I've tried a lot of mascara in my day for sensitive eyes: Clinique, Lancome, Estee Lauder.... Everything I've used has caused irritation and discomfort if I apply it too close to the lid margin. The Zoria Boost Mascara is the best formula I've used to date for minimizing irritation, and the smooth application helps build fuller, longer lashes that are clump free. Definitely don't expect using the mascara alone to grow your eyelashes by much over the course of a month, but when used in combination with the Lash Intensifying Serum at night, you'll get great lash growth with your nightly applications and a very comfortable and easy to apply mascara product by day. On the left is when I tried really, really hard in the past with my makeup application precision (actually this is from my engagement photo shoots, so probably the ultimate makeup effort picture that I could find). At the time I was using Clinique Lash Doubling Mascara, and as you can see, it's clumpy and chunky (but at the time I thought I looked great of course). On the right was just a few weekends ago, about a month into my Zoria Boost Mascara usage. Check out how long, thin, and natural my lashes look. No more clumpy, spidery looking lashes. Definitely it's a must have beauty product for me now! If you've been struggling with thin eyelashes, or wanting a mascara product that supports your eyelash health instead of causing lashes to fall out due to clumps and irritation, then the optometrists here at Eyedolatry Blog definitely recommend trying out the Zoria product line. You don't have to torture your eyelids with toxic falsie glues or deal with side effects like redness and discomfort from prescription strength serums to achieve great looking eyelashes! And remember, taking it all off with a nontoxic eyelid cleanser every night is a must to keeping your lid margins healthy and clear. If you've tried Zoria products or are an OD wanting to share makeup products that your patients swear by, we'd love to hear from you! 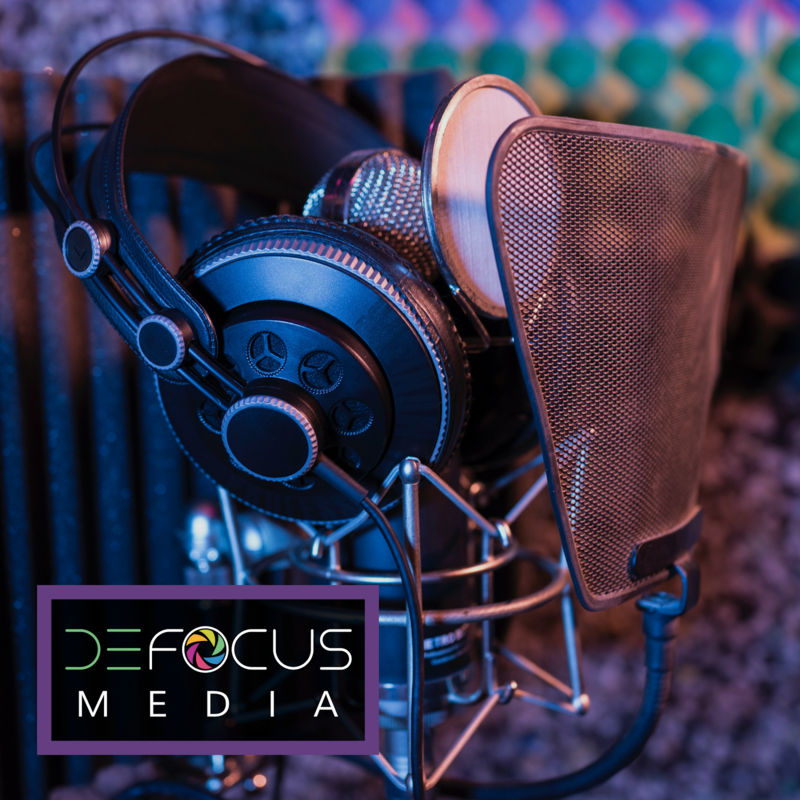 Leave a comment to help other readers learn more below.